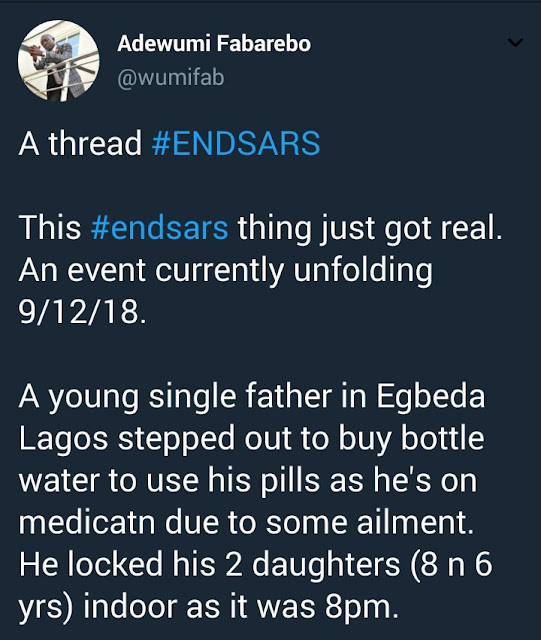 Rease Ogundipe Sedenu, an ailing father of two left his house at around 8pm in Wednesday to get bottle water for his medication. 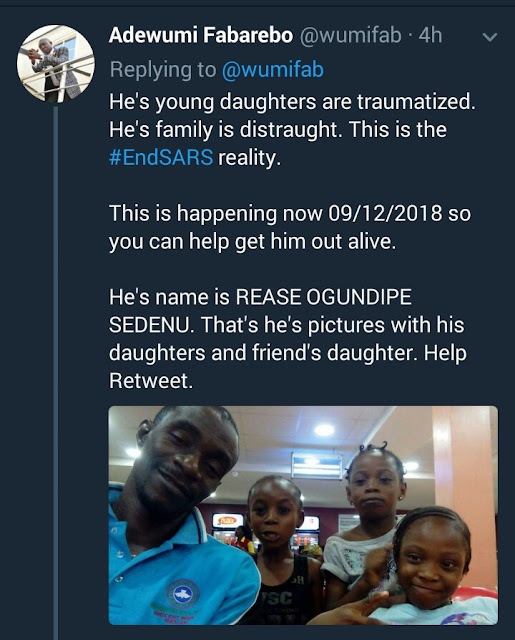 He was picked up by SARS and for days, his daughters aged, 8 and 6 starved. 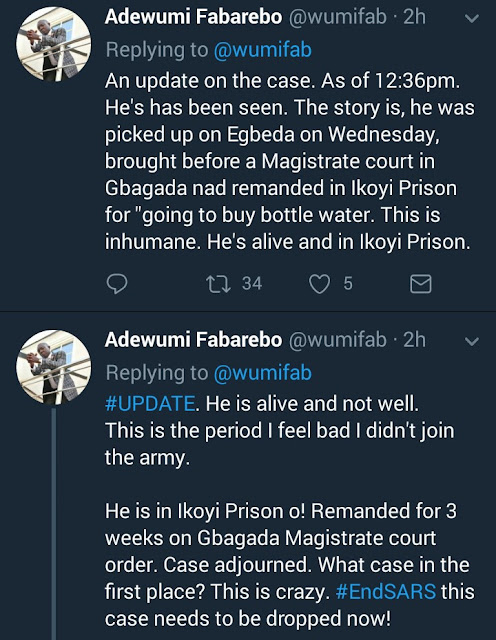 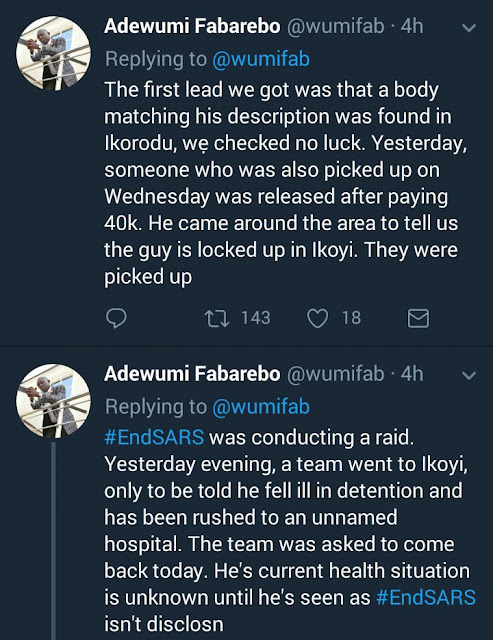 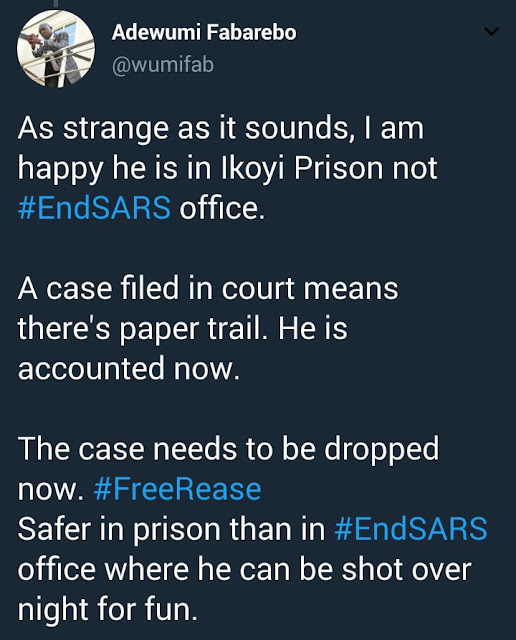 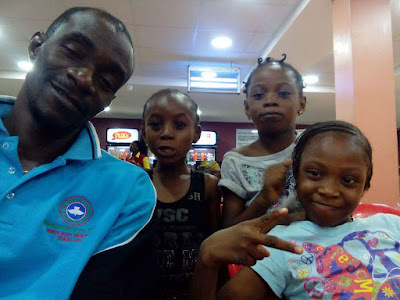 Family and friends launched a search for him when he didn’t return and he was found in Ikoyi prison where he has been remanded for three weeks on the orders of a magistrate court in Gbagada and the case adjourned. 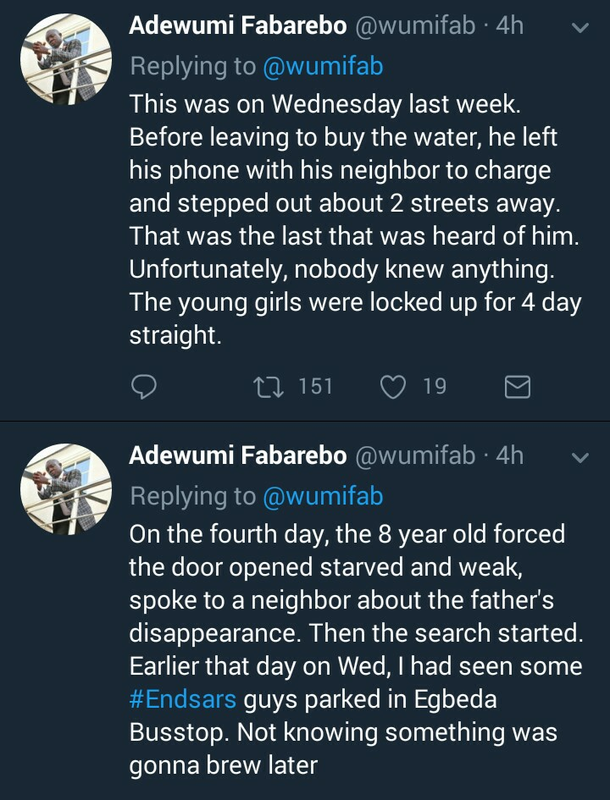 Read the tweets below.